There are two terminals at Don Mueang Airport in Bangkok. 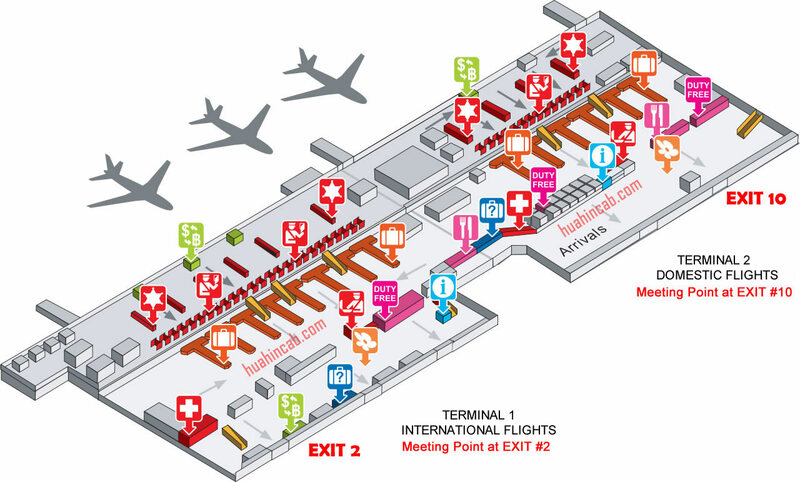 Terminal 1 is for International flights and Terminal 2 is for Domestic. If you are arriving from overseas then please look for our driver in the arrival zone at the Exit #2. If you are arriving to Don Mueang Airport in Bangkok with local domestic flight then our driver will meet you at the Exit #10. In both cases our drivers will be holding signboard with your name on it. Wish you to have safe flight and see you soon.